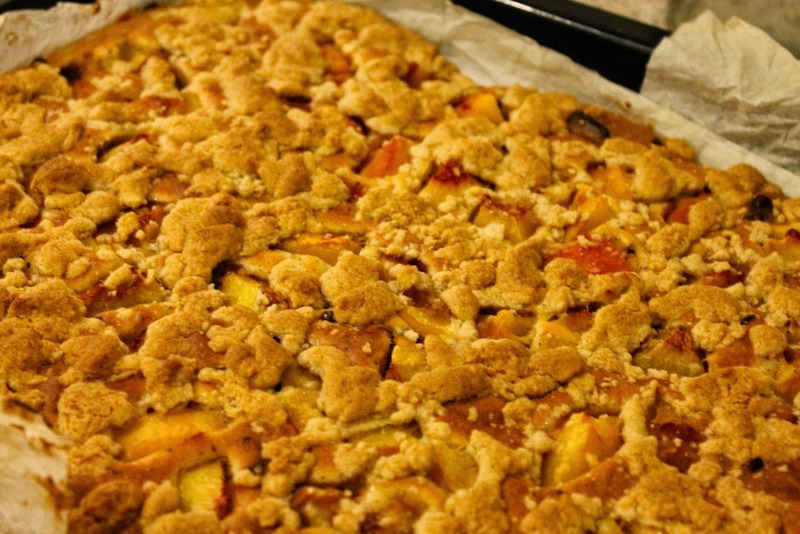 today I wanna share another recipe for a delicious cake: a late summer chocolate peach crumble cake. Yummy! Wash and peel the peaches (like you would peel tomatoes) and cube them. Cream the butter and add the sugar and eggs. Then whisk for about 3 minutes. 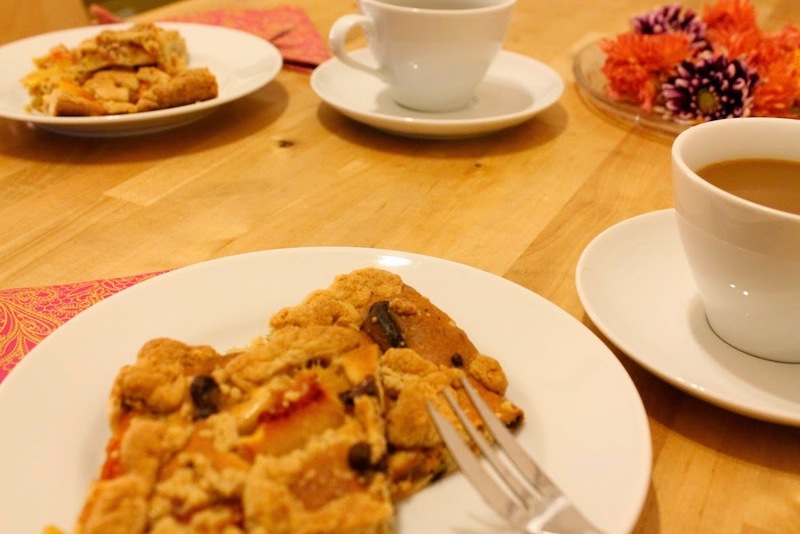 Add the flour, the chocolate pieces, the baking powder and the amaretto and whisk for another 3 minutes. 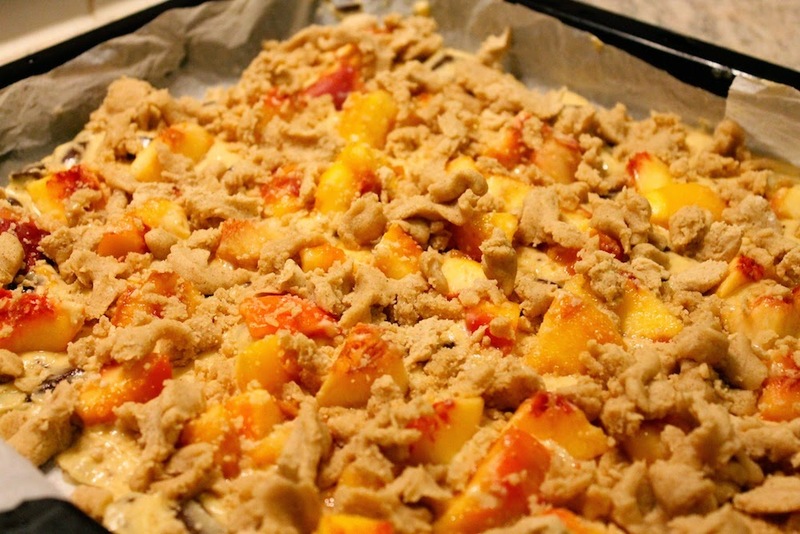 Cover a baking tray with baking paper and fill it with batter. 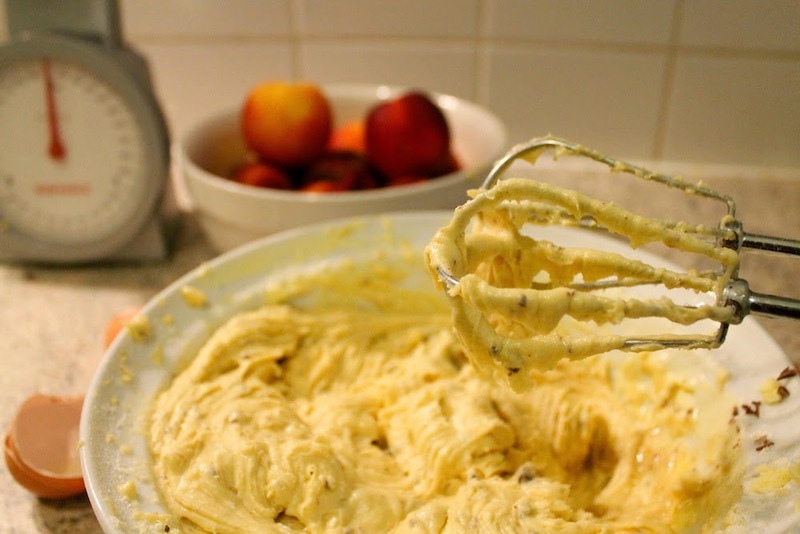 Spread the peaches on the batter. For the crumbles combine flour, sugar and vanilla sugar in a bowl. Knead in the butter until the crumbles get the wished size. 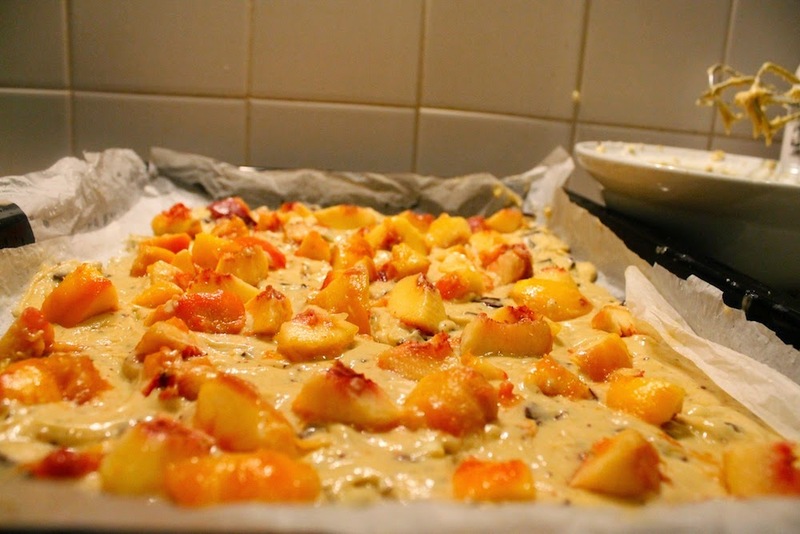 Then spread them over the peaches and the batter.